I have been playing drums for 18 years, and have been teaching 11 years. I have tons of energy during lessons that mixes well for the younger students. For older students I have the chops to catch their attention. My curriculum ranges on the needs of the student. I have everything from developing better grooves, more independence, chops, or simply learning how to play different styles. My goal during my lessons is dependent on the student. Not only do I want to help achieve personal goals, but I too want to help give the gift of being able to develop personal style. I feel that as a teacher, when my student is capable of achieving their playing desire on their own, I have enabled them to be a life long self sufficient musician. My teaching style is very informative and demonstrative. I love being able to view the problems the student is facing and create a lesson to help overcome those obstacles. As a Musicians Institute graduate, I've learned from exceptional drummers in the Los Angeles music industry. I gained and learned many tricks of the trade and can offer the same quality education to anyone. As a student myself, I realized that having great sound, solid timing and groove are just as essential as having cool beats to play. There are more technicalities to drumming than being able to play fast or having the best chops. 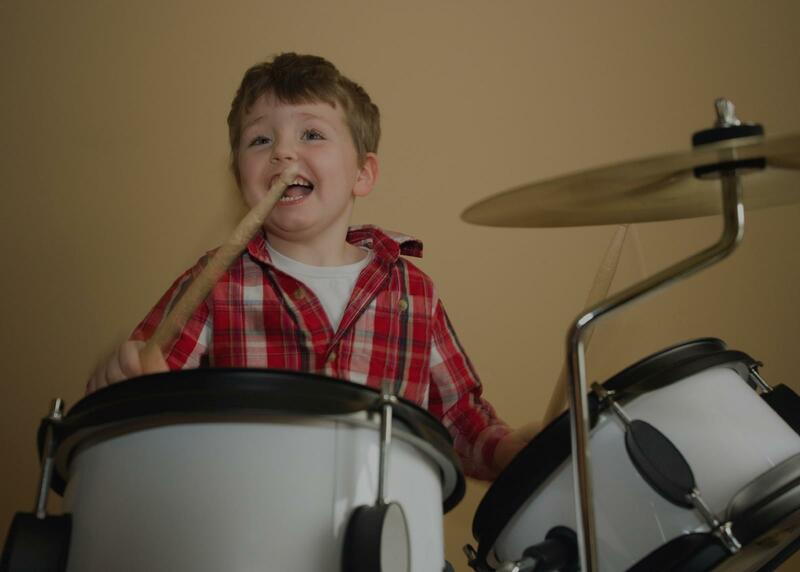 Aside from learning how to play drums, knowing how to think about music, how to listen to music, and how to study music will give a great foundation to any student of any style. I first like to determine the students ability and understanding by working on a few coordination exercises and reading exercises. approach to benefit the student playing. Jeremiah is very thorough and knowledgeable about what he is teaching. He's patient, always allows you to ask questions and is willing to help you go at your own pace and set your own goals. I've had a great time with my lessons so far and am excited to keep going! He has methodological teaching and is nice to the student. Room is set up with two drum kits. Studio has access to drum mics and recording software for practice. Record sessions to take home and practice along with! All you will need for you beginning drum lesson is a pair of sticks and a practice pad. Feel free to use the "Ask Me A Question" feature if you want more information on what to purchase and how to get started! I can help you take your playing to a new level or I’ll help you get comfortable behind the kit if you are a beginner. "Heath is a great drummer and fun guy. He is great with kids and adult students." is right. Highly recommend him!" "Heath is a great musician AND a great teacher. Excellent communication." "Heat is great with kids!"